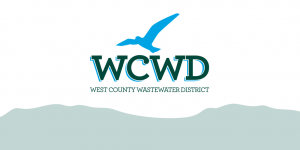 WCWD provides wastewater collection, treatment, and disposal services for nearly 93,000 residents in Contra Costa County. Circlepoint worked with WCWD to develop and implement a strategic approach to social media maintenance, and production and distribution of the WCWD newsletter, to increase understanding and raise awareness of the value WCWD contributes to its customers and the communities it serves. 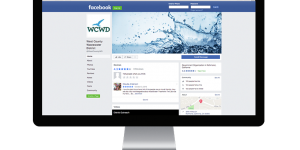 To foster growth of followers and boost the reach of social posts, Circlepoint developed regular Facebook content for the existing WCWD Facebook page. We regularly reviewed relevant materials for additional topical posts, monitored the WCWD Facebook page for comments from the public, and worked with WCWD staff to coordinate responses. Circlepoint also worked with WCWD to develop its quarterly newsletter. 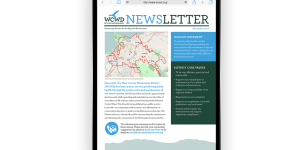 Working with WCWD staff, we developed the newsletter design template and sourced content. In November of 2016, Circlepoint published the first WCWD newsletter. The newsletter was mailed to each household and business within WCWD’s service area. Content included updates on current and completed projects, information on WCWD’s Master Plan, pollution prevention tips, and information about WCWD services. Circlepoint provided both editorial and design/layout services for this newsletter, as well as production coordination.